Nothing beats a foggy night in Milwaukee. This illustration has a modern simplicity together with a vintage sepia effect, using trendy gray and mustard tones. This is the view of downtown Milwaukee from Veterans Park. For sale here. 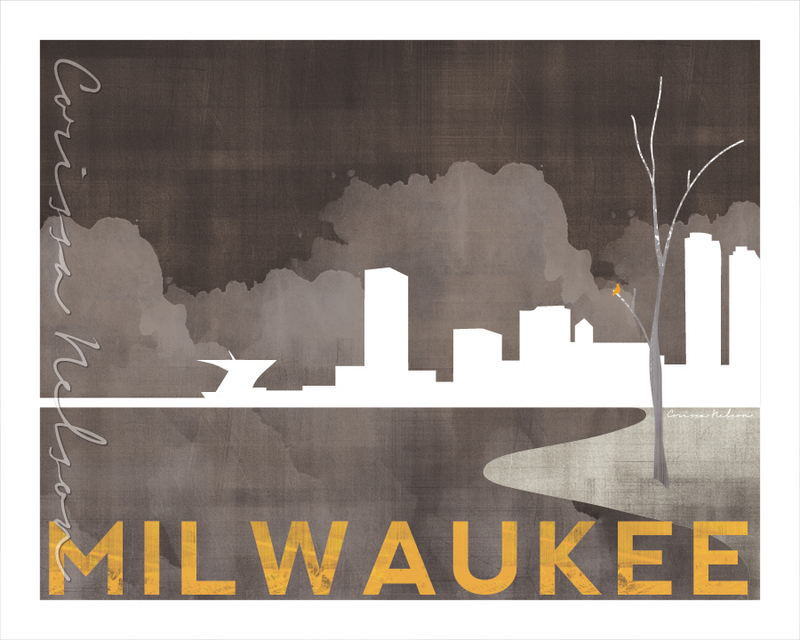 This card was a custom design for Goodwill of Southeast Wisconsin, featuring Milwaukee's skyline.